This Simpsons-themed foosball soccer table from DMI Sports makes a great kids toy for anyone who enjoys the cartoon. The Simpsons artwork and graphics are wrapped around the table and Bart and Homer replace the standard foosball men you find on other tables. 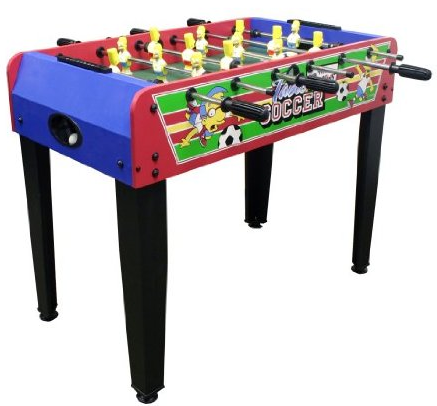 Featuring leg levelers that allow you to easily level the foosball table and plastic handles, this Simpsons table is sure to provide hours of competitive enjoyment for kids. This foosball table is priced around $120 US.